According to a report on The Guardian Nigeria, the Advertising Practitioners Council of Nigeria (APCON) has through its Advertising Standards Panel (ASP) committee, withdrawn all the certificates of approval previously granted to Guinness Nigeria Plc for advertising its alcoholic beverages, until further notice. ASP is a committee which is empowered by APCON to ensure compliance with, and maintenance of advertising standards and laws in Nigeria. 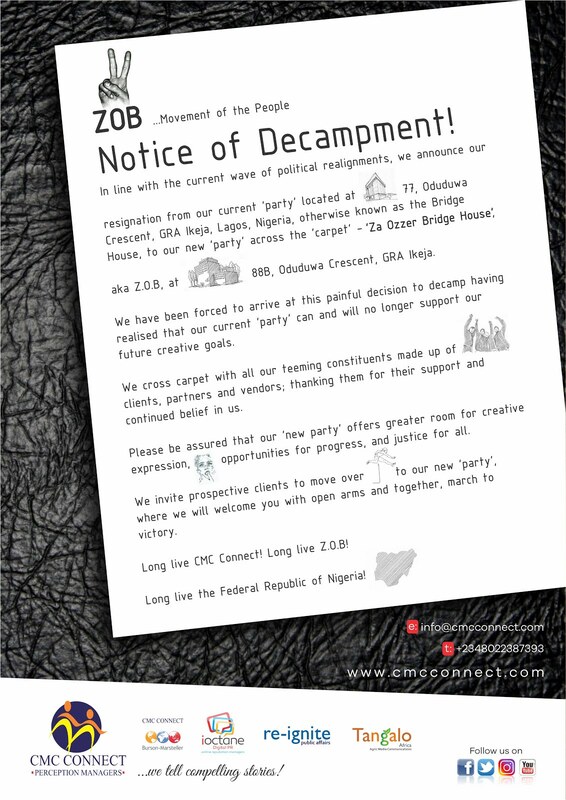 The Guardian Nigeria quotated a letter signed by the Registrar/Chief Executive of APCON, Alhaji Garba Bello Kankarofi (fpra), and sent to the Managing Director Guinness Nigeria Plc, states inter alia” I am directed to intimate you of the decision of the Council approving with immediate effect and until further notice, the withdrawal of all approvals hitherto granted, to you Guinness Nig Plc for exposure of all alcoholic beverage adverts for your brand of products. “Councils position is that it cannot fold its arms and allow impunity in disregard of the law by any person or organisation no matter how large it may be and it would fail in its duty to protect our children and promote public safety if it did otherwise than intervene as it has now done. 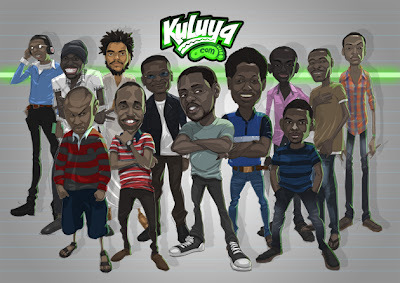 Kuluya.com, a game development outfit in Lagos, Nigeria has created 'My Oga at The Top' game to the delight of online savvy game lovers. 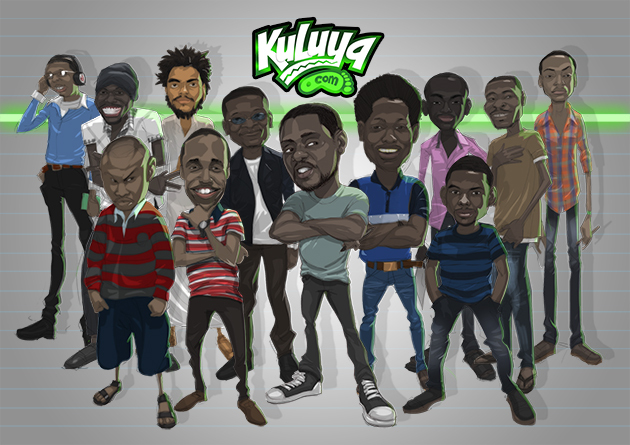 KULUYA is a create games developed with African players as the key focus. It announces the launch of its brand new, redesigned site where users will be able to challenge other players to play, make bets, and make money through competitive cash games. However, the game has continued to generate mix reaction on social media. BrandiQ magazine, Nigeria’s premium marketing communications publication, recently rewarded seven students for their outstanding performance in the monthly essay competition organised by the Magazine. These winners were drawn from various Universities and Polytechnics in Nigeria. The students include Junaid Ndimot from The University of Lagos (UNILAG), Hannah Ojo from Obafemi Awolowo University, Ife (OAU), Nwankwo Sylvester from Yaba College of Technology ( Yabatech), Muojekwu Chinenye from Lagos State University (LASU), Morakinyo Abiodun from LASU, Wilberforce Arevore from OAU and Adeyinka Joseph from LASU . However, three other winners who could not make it to the presentation ceremony are expected to pick up their gifts later in the month. The star prize winner, Hannah Ojo went home with the latest Black Berry phone. Other prizes include head phone, I-pod, marketing communication books etc. Speaking at the event, the Editor-in-chief of BrandiQ, Desmond Ekeh, commended the students for responding to the assignment on the Marcom tutorial segment of BrandiQ. He also unfolded a series of activities like Seminars, Symposiums, Workshops, training and others planned for students in a bid to equip them for the challenges of the future. Also speaking at the occasion, the Editor of BrandiQ, Usukuma Ntia advised the winners to take advantage of the invaluable opportunities BrandiQ magazine offer, while also seeing this gesture as the beginning of a stronger relationship between them and BrandiQ. He advised the students to co-ordinate the formation of BrandiQ clubs in their respective campuses to facilitate a more interactive and beneficial participation. Responding, the star prize winner, Esther Ojo expressed satisfaction to the management of BrandiQ for stimulating intellectual activities in schools through the Marcom tutorial segment of the revolutionary magazine. She also thanked BrandiQ for rewarding those that responded to the assignments in the magazine. Leading global payment solutions company MasterCard, has a new addition to its existing internet payment gateway solution in Nigeria. Targeted at Small and Medium Enterprises (SMEs), the introduction of SME Online to the market further demonstrates the commitment of MasterCard to building a cashless ecosystem in Nigeria. The MasterCard Internet Gateway Service (MiGS) provides a comprehensive internet payments solution which banks can offer to their merchant customers who seek to accept payments on their websites from cardholders of all major card schemes wherever they are. The newest addition, “SME Online”, is a suite of value-added services that works seamlessly with MIGS and extends the benefits of online card acceptance to a broader merchant segment. The features include invoice payments, batch payments, reoccurring scheduled payments, virtual terminal and web shop. It’s a simple to implement, easy to use web-based payment solution that banks can offer to their SME merchants. SME Online allows merchants to build their own web shops, including shopping carts and online product catalogues .It also provides a custom branded e-commerce solution to manage and authorise online payment transactions in over 145 currencies. Once merchants create their own web shop, they can start accepting online shoppers on a simple platform that embeds lots of functionalities, and they can add new functionalities at any time. Guaranty Trust Bank and Zenith Bank currently offer the MIGS services to their merchant customers, while SME Online is only available at Zenith Bank. Interested merchants and SMEs can now subscribe to the MasterCard’s internet payment gateway services via Zenith bank under the brand name GlobalPay and with Guaranty Trust Bank as GTPay Plus. In an attempt to provide another alternative to popular chat apps, Nokia has unveiled LINE messaging applications for its Asha and Lumia phones. .
LINE is a new communication app which allows you to send FREE sticker messages whenever you want, wherever you are. 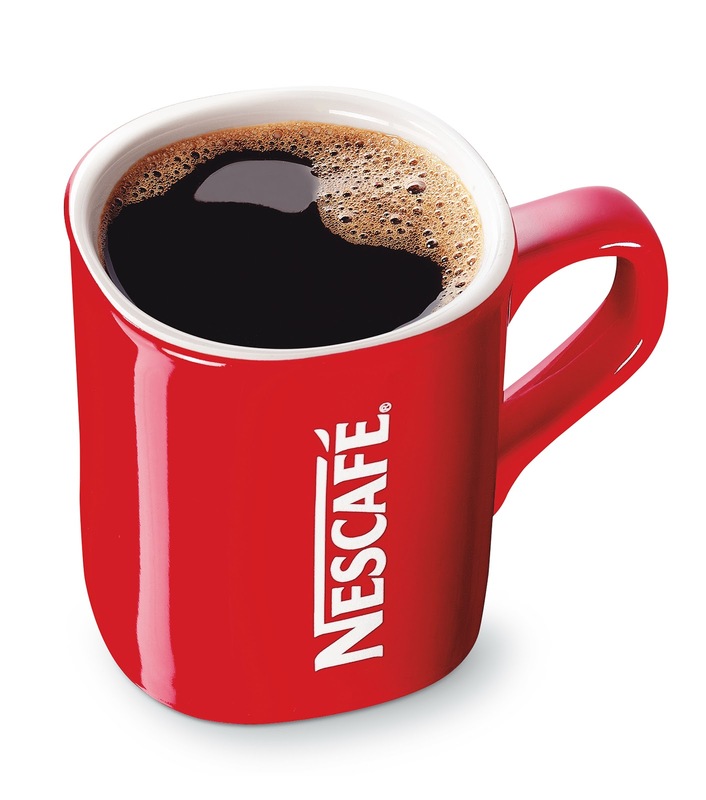 Enjoyed by more than 150 million users worldwide, in over 230 countries. Ranked no. 1 free app in 40 countries. It give users the opportunity to express themselves using unique and fun stickers and send photos and sticker messages easily. LINE is available for PCs and smart-tablets. Determined to give Nigerian undergraduates the opportunity to meet and experience Nigeria’s foremost and most celebrated international singing sensation, Tuface, Amstel Malta, the number one premium low sugar malt drink in Nigeria is partnering with the hip hop star on his forth coming Campus Connect tour. NM En.Core, the tour producers in partnership with Hypertek and Soundcity, announced that the Campus Connect: Tuface & Friends Tour which is targeted at reaching out to the campus communities in five tertiary institutions across the country will flag off at UNILAG on May 7, UNIBEN holding on May 9, UNIPORT on May 14, IMT Enugu May 16 and UniAbuja on May 23. 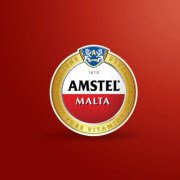 Mrs. Adedoyin Owotomo, Brand Manager Amstel Malta said the brand, “Our partnership with Tuface is borne out of the desire to encourage our consumers at all levels to be the best in whatever they find themselves doing”. Tubaba as he is fondly called is stomping the yard with a line-up of friends that guarantees an unforgettable experience for fans. Hypertek’s hot boys Dammy Krane and Rocksteady alongside Vector, and long-time collaborator Sound Sultan are rearing to go. Regional cameos will include crowd pleasers like Christian, Nonny D, Fame, Errigga, Mr. 2Kay, Maxi, Sele Bobo, Tee Gee, Dil, Ameena, Shyne, MC Amanna and Ruff Coin. The gigs will be hosted by the king of ‘kool’ himself, Andre Blaze. NM En.Core’s Helen Emoh Abutu, project manager for Campus Connect Tour assured fans of a wonderful time. “ We are going on this tour with the support of Amstel Malta and some of the best media, technical, security and logistics support outfits in the game” she says. 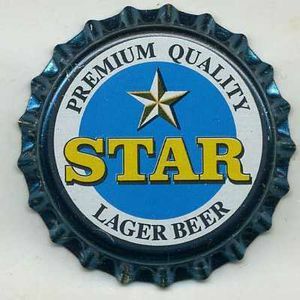 “The concerts and the exclusive after–parties which will be sponsored by Star Lager beer are bound to remain the talk of the town for long time”. Huawei has emerged winner of the Informa Cloud Africa award at the Cloud World Forum Africa conference held in Johannesburg. The company topped other international firms included IBM, Safaricom Business, Intel, HP, ASG, Pamoja, Parallels, to emerge as the winner. At the conference, Huawei showcased a host of its high-end server, storage, private cloud, public cloud products that elevated it to win the slot, including the Huawei Universal distributed storage system (UDS), Huawei’s E9000 converged infrastructure and Huawei’s OceanStor HVS enterprise-level storage system. The Huawei Cloud service brokerage on the other hand helps telecommunication providers aggregate abundant Internet as a Service (IaaS) and Software as a Service (SaaS) into a unified provisioning and management platform accessible by end users. Huawei’s UDS is designed to provide reliable scalable and cost efficient massive storage solutions, while the E9000 converged infrastructure provides a high performance and high reliability service platform for telecommunication companies. The OceanStor HVS enterprise level storage system on the other hand is designed for enterprise customers and is a solid foundation for telecommunication service platforms. Huawei provides infrastructure for establishing a solution platform including computing, storage, engineering design, networks and platform software. Some of the applications showcased have been deployed in Ethiopia, South Africa, and Kenya among other countries in Africa. As part of its commitment to recognise and celebrate mothers of athletes worldwide, Procter and Gamble Nigeria hosted a ‘Thank You Mom’ event to celebrate mothers of Olympians’ in Nigeria at the Sports Writers Association of Nigeria Complex in Lagos. Present at the event were the wife of Head of Service, Lagos State, Mrs Adenike Ogunlewe representing the First Lady of Lagos State, Dame Abimbola Fashola; the permanent secretary of Youth and Sports, Dr. Oshinyimika representing the Commissioner of Youth and Sports, Barrister Waheed Oshodi; President, Nigerian Olympians Association, Henry Amike; Renowned Musician, Onyeka Onwenu; Olympic Silver Medallist, Chief Falilat Ogunkoya Omotayo MON; CSP Nigerian Police Force and Olympic Gold Medallist, Chioma Ajunwa amongst others. In her address of welcome, Head, Government Relations, Procter and Gamble Nigeria, Tope Iluyemi said, Procter and Gamble is a proud sponsor of moms worldwide, for their tirelessly contributing to the development of their children. “Procter and Gamble is a proud sponsor of moms, and this event is one of the ways we honour moms for the tireless efforts they contribute towards the development of their children. We recognize that behind every amazing athlete is an even more amazing mom. Being in the business of helping moms, with brands that make everyday life a little easier, P&G is the proud sponsor of moms in every aspect our business. Iluyemi further stated that in 2010, P&G signed a 10 year partnership with the International Olympians Committee (IOC) to support the Olympics games and develop youth sports globally and P&G has begun fulfilling that promise locally by donating to 3000 schools across the country as well as renovating sports facilities in various schools pan Nigeria. 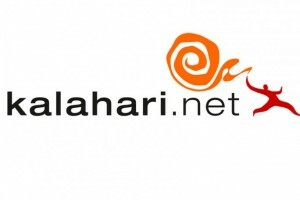 Kalahari has been ranked as South Africa’s leading online brand, in a new report "Online Retail Brands Report - South Africa 2013" which has just been released by Acentric Marketing Research. The report is based on a survey, conducted in January 2013, amongst a scientifically-selected sample of online consumers, covering 59 online-retail brands and 28 product categories. Kalahari came ahead of Amazon, Bid or Buy, Woolworths, Gumtree, eBay and Olx.co. “While Amazon is slightly ahead in terms of awareness, the brand positioning is not as ideal,” said Craig Kolb, owner of Acentric. “Although Amazon is perceived to be a strong performer in terms of the sheer size of its range and long history as a brand, it lacks in other important areas. Zando, which only launched in May 2012, was the highest new entrant, ranking ninth. Nigerian's telecomm company, Globacom and Chinese firm Huawei have signed a NGN116.25 billion (US$750 million) agreement to expand Globacom’s network capacity. The company made this known on Thursday in Lagos, at the signing of a Memorandum of Understanding (MoU)on network expansion with Chinese telecoms infrastructure provider, Huawei. The MoU will see Globacom embarking on a total overhaul of its network to enable it provide better services to its over 25 million telecoms subscribers. According to the Chief Operating Officer, Muhammed Jameel, Globacom had been shopping for a vendor to help modernise its network over the past two months, and Huawei emerged preferred vendor of choice. Jameel said every element of the network, ranging from BTS, MSC and transmission infrastructures, among others, will enjoy total modernization to provide world-class services its growing subscriber base. “This is a huge expansion project. We promise Globacom and its teeming subscribers that we will meet their expectations and deliver a network they will all be proud of. Globacom is definitely going places,” said David Fan, Huawei vice president in West Africa. Emirates has always been synonymous with personalised service – be it onboard or on the ground, With the new ‘Inspire Me’ feature on the Emirates website, www.emirates.com, passengers are able to bring this personalised service to their travel planning. Emirates route network spans the globe and Emirates now brings this international travel expertise directly to travellers, allowing them to search for holidays ideas based on their personal preferences. Be it a holiday for one, family travel, or a group of friends, the Inspire Me application can accommodate every traveller’s need – from beach-side resorts , historical journeys, indulgent shopping sprees or escapes into nature – Inspire Me can be customized for every trip a traveller can dream of. Furthermore, in line with Emirates position as a global carrier, the tool is accessible for travellers from any origin point on the Emirates network. Displayed in an easy-to-navigate graphical map, the Inspire Me also has scroll bars embedded so that visitors to the site can easily adjust their criteria as they explore their travel options. In addition to helping people choose their type of holiday, Inspire Me then provides extra details on each suggested destination including flights, date, region of the world, climate, travel time, and, unique to Emirates,’ real-time prices. Destination information is also available including suggested activities and local info – allowing passengers to discover new places and sites they had never considered before. “As it has grown, Emirates has naturally fallen into the role of connecting people from around the world. 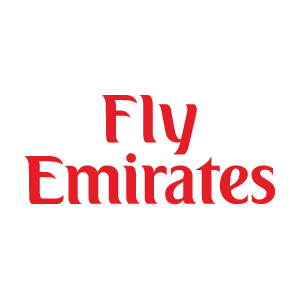 Our passenger look to Emirates to not only bring them together with distant family and friends but, as our destinations have grown, also as a way to explore the wonders of the world; dreaming bigger and further,” said Bob Kabli, Vice President e-Commerce and Mobile. “Our new Inspire Me tool is our way of bringing our passengers closer to their dream holidays, whatever their interests, budgets or preferred travel style may be. Available on emirates.com, Inspire Me represents one of the world’s first truly-global inspirational tool”, he added. 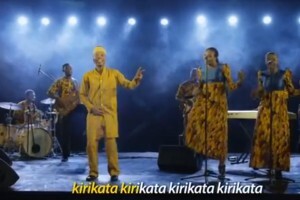 Following the official launching of Mobile Number Portability (MNP) by Nigerian Communications Commission (NCC) in Lagos, telecom giant, MTN wasted no time to introduce a new TV commercial featuring comic actor, Hafiz Oyetoro popularly known 'Saka'. Saka who used to feature in several Etisalat adverts and on their billboards for over two years until now, sings in the “I don Port” TVC. The actor sang that he has joined MTN via MNP and urged other mobile service users to do the same. The new TV commercial is believed to be a sign of high competition with the MNP. In the advert, MTN said subscribers of other networks can join MTN by walking in to any MTN authorized outlet or send ‘PORT’ to 3232. According to NCC, the MNP will bring a new dimension to the competition in the industry as network operators will have to work harder to earn the trust of subscribers because the commencement of mobile number portability means that subscribers now have a choice and can drop any operator that does not meet their expectations. Procter & Gamble, a leading consumer goods company is donating sporting materials to 3,000 children in 40 schools across Nigeria as part of its commitment to youth sports under its 10 year- International Olympic Committee partnership. The company is donating equipment ranging from jerseys and footballs to first aid kits, amongst other items. The donations started on March 4th 2013 and will run through the end of May, 2013. The schools which have already benefited from the P&G sports donations are: Sonmori Senior Comprehensive High school, African Church Grammar School and Fagba Junior Grammar School, all in Lagos. In the Eastern part of the country, Mea Matter Elizabeth high school, Bethel Home Convent and Union Boys Secondary School in Enugu also received donations. She further explained that these donations are part of P&G's commitment to youth sport as a 10 year International Olympic Committee partner, adding that, “Specifically, we are thanking the Nigerian public for joining us to make these donations possible. The donations are as a result of the "Buy one pack of any P&G product and help improve sports in your child's school" campaign we ran in April and May 2012 leading up to the London 2012 Olympics. In addition to the donations, P&G has completed a complete overhaul of the sporting facilities at Mea Matter Elizabeth High School, Enugu. The donations and renovations are part of P&G’s Thank You Mom campaign which is focused on thanking mothers for the effort they put towards their children not just with regards to sports, but for all they do to help their children achieve their dreams. Excitement greeted news that Vérone Mankou, the 26-year old entrepreneur from the Republic of Congo, has designed Africa's first smartphone and a tablet, the hand-held computer that comes with a touch screen. 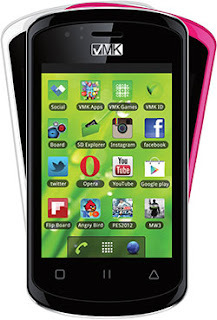 Mankou's tech company, VMK, designed the sleek smartphone and tablet, which was originally conceived in 2006 as an affordable computer to give Africans access to the internet. The devices run on Google's Android software and are assembled in China, making some technology analysts question Mankou's assertion that these were the first African touchpad tablet and smartphone. In response to such criticism, Mankou writes on his website, "We are somewhat offended by the disregard of those who persist in denying the authentication of our products, despite evidence." To reinforce the Made-in-Africa claim, Mankou named his smartphone Elikia, for "hope" in Congolese Lingala dialect. The official name for the tablet is Way-C, and it comes with wireless internet connectivity and four gigabytes of internal storage. Elikia has rear and forward-facing cameras and a 3.5in (8.9cm) screen, 512MB of RAM, and a 650MHz processor. Mankou plans to sell the devices across African countries as well as in Belgium, France and India. VMK's smartphone will have to compete against established brands such as BlackBerry and Nokia, while the tablet has to face Apple's iPad, Samsung Galaxy and others. About his smartphone, Mankou says, "We wanted to place on the market a quality smartphone with the same capacities as the others, while ensuring that it's a product which is accessible to all." Mankou hopes to rely on pan-African sentiments. There appears to be an increasing desire among some in Africa to support homegrown products. Recently, for instance, there was a minor incident with app purchasing when Google Play did not accept credit cards issued in the Congo. VMK announced its own app store with apps "developed by Africans for Africa" and prepaid gift cards to give Africans a similar experience. Several technology bloggers in Africa believe VMK's devices, which are currently available through telecom carrier Airtel with the possible addition of MTN and Warid, could still expand their reach and compete on the international market. The Congolese entrepreneur has set big ambitions for his devices, "Apple is huge in the US, Samsung is huge in Asia, and we want VMK to be huge in Africa," he says. Chief Keith Richards, MD/CEO, Promasidor Nigeria Limited; Tochukwu Oranu, winner of the star prize and Don Jazzy, Loya Milk Brand Ambassador during the presentation of star prize in the Loya Milk It’s What’s Inside that Matters promo in Lagos recently. Promasidor Nigeria Limited, makers of Loya Milk, has rewarded another winner with a brand new Hyundai i10AT car in the on-going Loya Milk ‘It’s What’s Inside That Matters’ promo. The promo was launched in February and will end on May 31, 2003. 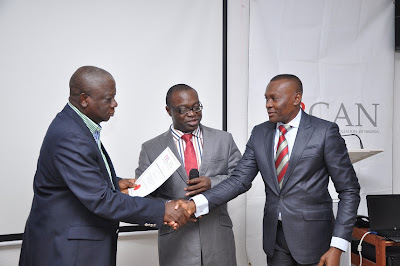 Chief Keith Richards, Managing Director and Chief Executive Officer of the company made the presentation to Mr. Tochukwu Oranu, a 29 year-old businessman at the company’s head office in Lagos recently. Earlier, in his address of welcome, Chief Richards said that Promasidor is a company that lives up to its promises and will continue to reward its loyal consumers. Norton by Symantec today released new insights into Middle East and African consumers’ mobile use and behaviours1, revealing that adults rely on their mobile devices more than ever, yet few are taking some of the necessary precautions to keep their devices and content safe and secure. Consumers in the Middle East and Africa are now living various aspects of their work, social and online lives through their mobile devices. From surfing onlineto downloading apps, shopping and making payments from their mobile device, Norton found that nearly nine out of ten online adults (87%) in the Middle East and Africa are mobile device users, of which a large majority (78%) are using them to access the Internet. “People are relying more and more on their mobile phones and tablets to navigate, share, socialize and shop in today’s constantly-connected world,” said Kara Rawden at Norton by Symantec. The lack of precaution taken by mobile users can have unfortunate consequences for some: close to two in five mobile users in the Middle East and Africa have fallen victim to mobile cybercrime 3. Visit mobilesecurity.com for additional insights from Norton mobile security experts, including articles, videos, widgets and infographics shedding light on timely mobile topics. 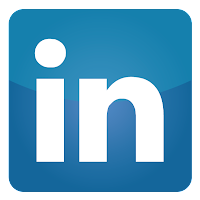 Following Facebook’s lead in abandoning HTML 5 for native efforts, LinkedIn has completely revamped it smartphone apps, emphasizing the social sharing aspects of its business-focused service. Linkedin focus on personalization and content, enabling advertisers to display ads to its users. The enhanced app was made available on both iOS and Android platforms for improved interaction via a smartphone. According to its blog post, the updated app has better interactivity, allowing users to comment and like shared content more easily. In addition to a new design, updates include a more relevant news stream for users, as well as more navigation. Diamond Bank Plc, Nigeria’s leading commercial bank, is sponsoring five customers to the China Canton Fair to further boost their international business exposure. The China Canton Fair is a bi-annual trade fair that commenced in 1957 and has since held every April and October for a two week period. Every year, the fair attracts hordes of businessmen from around the globe. “Because our best stories are told by our customers, we have had customers who have enjoyed our services and referred other customers. It is more rewarding than when we go out and market to people. We are really appreciative of all of you and in recognition of what you have done we wish to dine with you before you leave and also wish you a safe trip. We are also very positive that it is an experience you will enjoy” said Dr. Otti. Explaining further, Head, Micro Small and Medium-scale Enterprises (MSME) Proposition, Diamond Bank Plc, Mr. Chima Nnadozie said “Sponsoring these customers to China is part of our Access-to-Market initiatives which is designed to help small businesses to expand their market and find new opportunities. Part of the challenges of small businesses is access to market as they sometimes can’t find the market for their business beyond their immediate environment hence the need to look beyond where they are and expand their market. 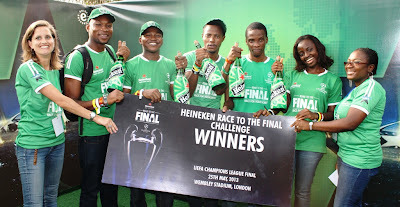 As the much anticipated UEFA Champions League Final holds on May 25 HEINEKEN, worlds’ most international premium lager beer, will be sponsoring five Nigerians, Diana Nwajiaku-Smart, Isaac Onochie Ijeh, George Mayowa Opeyemi, Franklin Chukwu Ijeh and Nwafor Felix Amobichukwu who through their inventiveness, ingenuity and resourcefulness were able to win an all-expense paid trip to watch the final live at the Wembley stadium in London. The lucky winners proved to be exceptionally intelligent using their mental as well as the physical ability to outsmart 350 other participants that registered through the HEINEKEN website and participated in the challenge. The exciting “Road to the Final” challenge which broke early this month kicked off from the National Arts Theatre, Iganmu which was a beehive of activities as early as 8.00am where the contestants registered and hit the road to be among the last five standing. The contestants were expected to cleverly solve some clues to decode the five locations and head to the final road to emerge as winners. 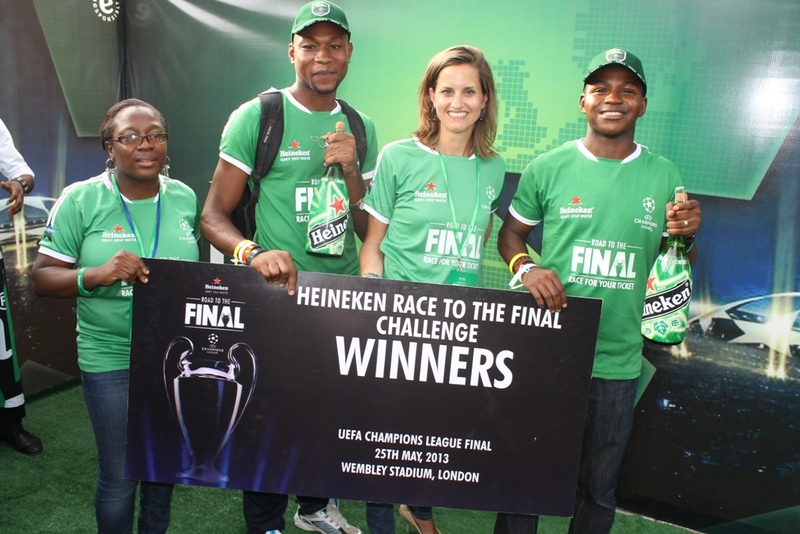 The exciting road to the final took the participants to Golden Tulip Hotel, Festac Town, Sailors Lounge Lekki, Ikeja City Mall and terminated at the Heineken Champions Planet Victoria Island, Lagos. They were expected to locate these locations which were not made known, register their presence and hit the road to the next destination and the first five that arrive at the Heineken Champions Planet automatically win tickets to Wembley. The mechanics of the challenge was designed not only to choose winners, but to bring out the “Man of the World” in every participant in relation to the premium brand. It was also to display that Nigerians can equally play in the man of the world league by bringing out the can-do spirit in them by displaying sportsmanship character. 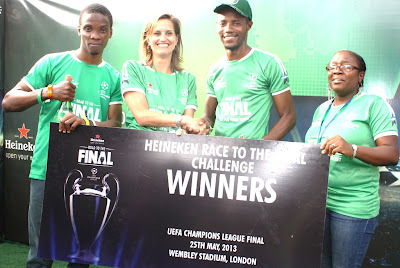 It should be recalled that HEINEKEN recently unveiled a new UCL campaign called ‘Road to the Final’ with the launch of a television commercial titled “The Final”. In the commercial you get to see how, with imagination and resourcefulness, one man was able to race against the clock to witness club football’s most prestigious event – the Final itself live. He had to overcome many hurdles on his way from South America to London in just 24 hours. The Race to the Final in Lagos is tied to this TV commercial: Nigerian Man of the World have to proof their inventiveness to crack riddles, find secret locations and be between the first 5 contestants to finish. The ad features one lucky fan, who receives a ticket to the UEFA Champions League Final. 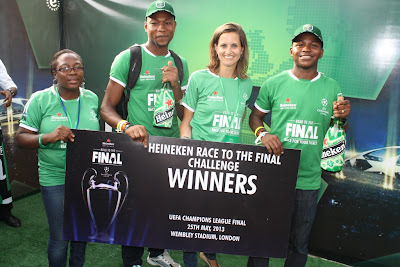 The “Road to the Final” challenge bring together Nigerian’s best in sport reportage and the best of ex internationals like Victor Ikpeba, Jay Jay Okocha, Daniel Amokachi, Peter Rufai, Collin Udoh, Charles Anazodo, Timi Okomi, Biola Kazeem and others who have visited the Heineken Champions Planet during the various stages of the competition. One of the world's leading digital production agencies, Bluegrass Digital, has reiterated its commitment to help its partners to deliver solution to their clients through its experience and expertise. Speaking with the Managing Director of the company, Nick Durrant in an email interview, he stated that the opportunity "is a natural evolution in terms of growth for companies. Our intention is not to move in a physical way by setting up offices and infrastructure of any kind, but work with partners in Nigeria who are looking for a company like ours that carries the experience and expertise to help them deliver solutions to their clients. So it is about setting up partnerships as we have done in South Africa and Europe". He affirmed that Nigerians should expect quality services from the company. "They would expect quality service delivery. We work with partners around the world delivering technical production for their needs, these tend to be Ad, marketing or communication agencies that need a reliable partner that delivery 1st class solutions at the expected standard. 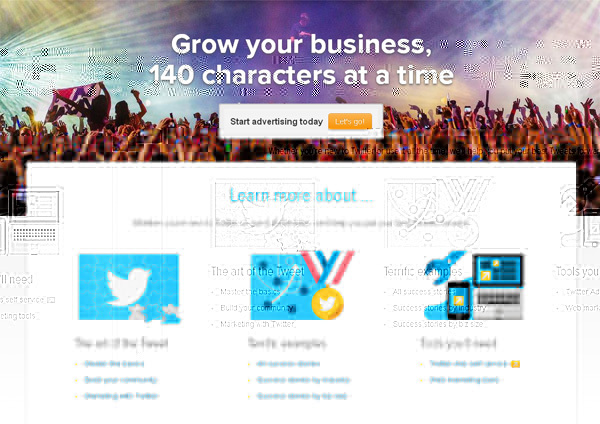 "We are not just another digital agency. We are focused on delivering for our partners as a digital production agency. This is something we have been doing since the late 1990’s in the UK and South Africa. We carry a wealth of experience in delivery and project management across web, mobile and social platforms. There are a very few that carry the experience of a company like ours and our client base around the world is testament to the fact and they keep coming back for more", he said. In Nigeria, Bluegrass Digital has partnership with Stanbic, Dettol and others helping them deliver mobile sites, facebook solutions etc. It is also set to extend its partnership to Ghana and Kenya. Vodafone Ghana boss, Kyle Whitehill is moving to Qatar to be Chief Executive Officer of Vodafone Qatar. In a statement by Vodafone, Whitehill had impressed while in Ghana, increasing its revenue, market share and profitability. Since 2010, Mr Whitehill has been CEO of Vodafone Ghana, taking over from David Venn. 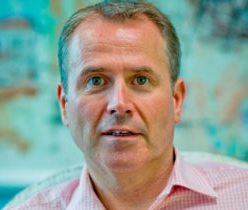 He has worked for Vodafone Group since 2001 and has previously held a variety of senior roles including Enterprise Business Unit Director in the UK and Chief Operating Officer in India. Senior Brand Manager, Heineken, Jacqueline Van Faasen (second from left) and Brand Manager, Heineken, Mrs. Kehinde Kadiri first from right both of Nigerian Breweries Plc presenting a dummy ticket to Franklin Chukwu Ijeh (first from left) and his brother Isaac Onochie Ijeh (second from right) two of the five winners billed to travel to Wembley Stadium, London to watch the finals of UEFA Champions League with all expense paid trip courtesy of Nigerian Breweries Plc held on Saturday in Lagos. TBWA\ has appointed Graham Cruikshanks as the group's new director of Africa operations. Cruikshanks will be based in Johannesburg, South Africa. The company believes his appointment would further deepen its penetration in the continent as the world's fast-growing consumer market. The appointment is with immediate effect. The TBWA covers over 10 countries in Africa with affiliates in West and East Africa. Cruikshanks holds a Post-Graduate Diploma in Marketing Management from the University of Cape Town and a B.Sc in Economics and Business Economics from the University of Southampton,UK. Cruikshanks has about two decade track record in the marketing, advertising and communication industry. While at Saatchi & Saatchi (Cape Town), he worked as an account director on the Diageo Africa business, before taking up the post of deputy managing director. Left, Emeka Maduegbuna, Former PRCAN President Congratulating Desmond Ekeh, CEO Synthesis Communications, (right) at the induction of Nine PR Agencies into PRCAN. Middle is PRCAN President, Chido Nwakama. The Public Relations Consultants Association of Nigeria (PRCAN) has inducted nine new PR agencies into its fold to further bolster professional participation among members. Arising from its Extra-ordinary General Meeting, the President of PRCAN, Mr Chido Nwakama inducted Silver Bullets, Pauline Fredricks, Hally Sports, Chain Reactions, Synthesis Communications, Concrete Communications, Leap Communication, Red Gecko Limited and Topcomm Limited. Speaking at the EGM, Mr Nwakamaenthused that attendance and participation of members, as far as PRCAN meetings is concerned, has improved considerably in just 3months of taking over the helm of affairs. ‘‘Since the current executive came on board, the association has witnessed renewed participation from members. Although, more still has to be done to rid the industry of illegal and largely untrained PR agents. 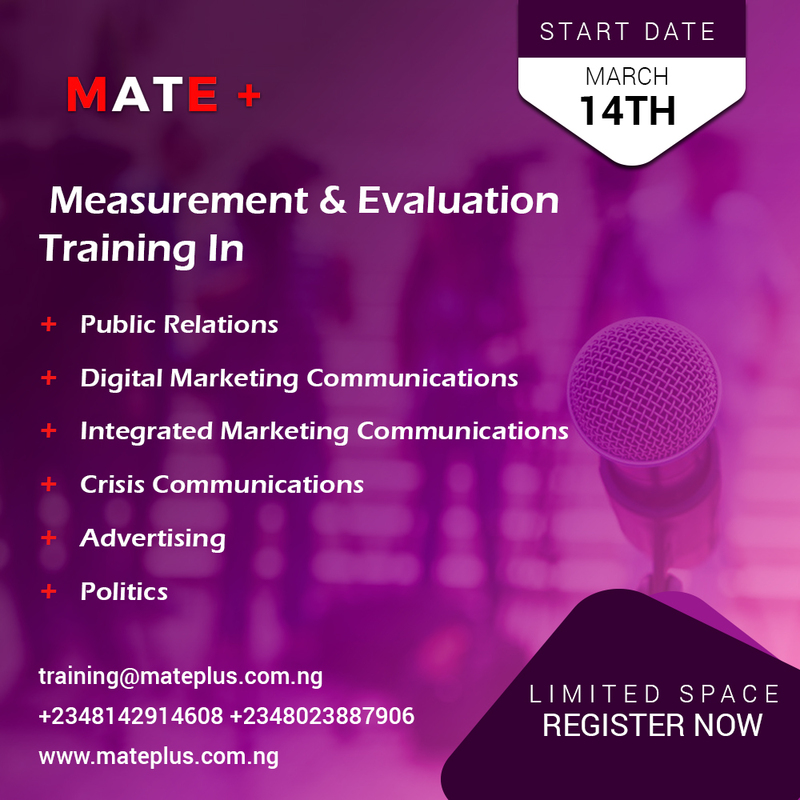 Apart from this, our membership has grown appreciably and the master’s class is gaining momentum as students can testify to the unquantifiable 360 knowledge they have garnered so far. These PR firms have been inducted because they have met the requirements and they can now operate officially as practitioners. Furthermore, the EGM allowed for members to deliberate on issues affecting the professional body and how to grow the association such that it will become a force to reckon with both locally and globally.For instance, it was unanimously agreed that the National Institute of Public Relations (NIPR) can tighten its regulations to protect local industry players like the Advertising Practitioners Council of Nigerian has done by enacting its reform. According to erstwhile president of PRCAN, Mr.EmekaMaduagbuna, the burning issue of international affiliation has become a reality that no doubt is the nature of the contemporary market space. However, he is hopeful that public relations activity in Nigeria will continue to assume more attention on the global stage. ‘‘In spite of the national attention the issue of international affiliation has attracted, NIPR, the umbrella association of PRCAN has been silent about it. We have to make concrete arrangements to put our house in order. That PRCAN is taking the initiative is a good step in the right direction’’. He submitted. Diamond Bank Plc has declared profit before tax (PBT) of N27.5 billion for its financial year ended December 31, 2012. This represents a complete turnaround from the loss before tax of N18.0 billion recorded in 2011. The bank’s PBT was achieved from gross earnings of N138.8 billion, an increase of 35 percent over N102.7 billion earned in the previous year. The profit after tax (PAT) for the year grew by over 250 percent to N22.1 billion as against the Loss of N13.9 billion achieved in 2011. The PAT resulted in earnings per share of 159k for the year. 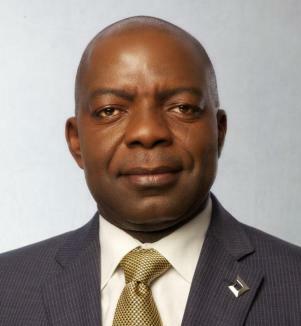 According to the Group Managing Director, Dr. Alex Otti, “2012 performance is a reflection of our collective decision to place the Bank on a growth pedestal towards becoming one of the leading financial institutions in Nigeria having achieved N1 trillion balance sheet size. The year saw us building on our strong reputation for customer focus, innovative product development and quality service, thus returning to profitability after the cleanup exercise in 2011. These principles will continue to steer our growth on an impressive and sustainable path”. He added: “Leveraging on these principles and the focused development of our service delivery infrastructure, systems and technology, we have gained momentum and scale in all our markets. Our strong balance sheet, large customer base and solid risk management framework have helped us to build a robust institution capable of guaranteeing quality growth”. On the strength of the bank’s impressive performance, the market was expecting payment of dividend to shareholders. However, in view of the current efforts towards capital injection, dividend payment in a year that the bank will be raising additional capital will not be advised. In line with its medium term capital raising program following the approval of its shareholders to raise capital of $750 million at the last Annual General Meeting (AGM) that held on the 31st of May 2012, the Bank is seeking an amendment to this approval in next AGM coming up on the 30th of April 2013. According to Management, the proposed amendment is necessary in order to expand the capital raising options to include rights issue of equity or debt. 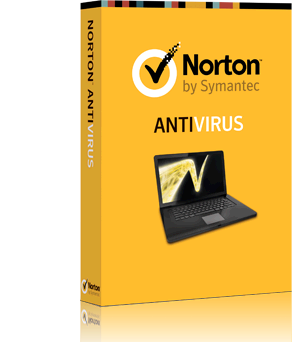 The 2013 Norton Internet Security (NIS) software features an antispyware, browser protection, 5 patented layers of protection, Facebook protection, Parental controls and an advanced online identity theft protection. The NIS, like all the latest products from Norton, is Windows® 8 compatible and engineered to make Windows 8 safer and faster. • With consumers becoming more on-the-go with devices such as tablets and ultrabooks, faster startup, shutdown and improved battery power are increasingly important. The latest NIS features faster startups & shutdowns – completely re-engineered to minimize startup and shutdown time. It features maximized battery power to reduce power consumption; resulting in extended battery life and faster response from system sleep and hibernate states. It also offers more efficient support for digital media files, designed to ensure digital media files such as photos, music and videos are safe from attack, without impacting performance. • The 2013 NIS is also simpler to use, offering enhancements such as a touch screen-friendly user interface engineered for faster performance and optimized for touch screens. It is also version- less - with all product updates now downloaded in the background and installed automatically, consumers can be rest assured they are safe from the latest threats without manually checking for updates. In addition, product updates no longer require reboot, so consumers can receive the most up-to-date protection without being interrupted. • The NIS has a new threat-removal Layer that targets and eliminates hard-to-remove threats that less sophisticated products often miss. The 5 patented layers of protection detect and eliminate threats more quickly and accurately than other technologies. Also, the Network Defense Layer Protection stops online threats before they can reach users computer. The Norton Internet Security 2013, with a revised, simpler interface, and improvements in a number of areas such as social network security, offers excellent protection against viral attack and, more importantly these days, against spyware and identity theft too. The strength of the NIS 2013 lies in its core protection, which is difficult to beat . Enterprise Business Manager of Dell, Mr. Akin Banuso has said that the rise of open standards, frameworks and architectures, and a shift from proprietary models will give way to new solutions with regards to networking in the Nigerian business landscape. He made this known as he highlighted three networking paradigms that are shaping the business landscape across the world today. According to Mr. Akin Banuso, the Enterprise Business Manager for Dell, ‘Broadly speaking there are three major trends within the networking space that are currently shaping the industry; convergence, distributed networking and software defined networks. These topics are not new to the table, but having been discussed for some time, they are now beginning to hit the mainstream in terms of the maturity of the technology and where they are on the corporate agenda’’. The first of these ‘Networking Big3’ shapers of the industry is Convergence. Banuso explains that ‘’It’s not wholly a networking issue but its impact on the way networks are managed and – just as importantly – who manages them, should not be underestimated. Previously IT functioned in silos, with server, storage and network admins going about their business relatively independently. When someone within the organisation wanted a new resource provisioned, working across these silos to make that happen could be a painful an unnecessarily cumbersome experience’’ he said. 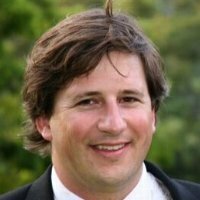 Mr. Banuso noted that there are many useful new technologies are emerging one of which is the Dell Virtual Network Architecture (VNA) Portfolio. This Dell infrastructure can deliver up to 10 times greater application performance for decision support and business intelligence workloads. Procter & Gamble (P&G), a leading consumer goods company, has been honoured with the African 1st ladies award for excellence in social investments in Africa at the summit held in Los Angeles last week. 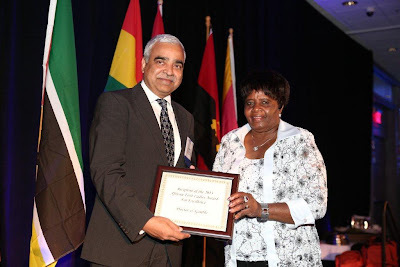 The award which was conferred on the Vice President, Procter and Gamble West Africa Manoj Kumar by the first lady of Namibia, Mrs. Pohamba, is in recognition of Procter and Gamble’s commitment to growth and expansion plans in Africa are long-term. 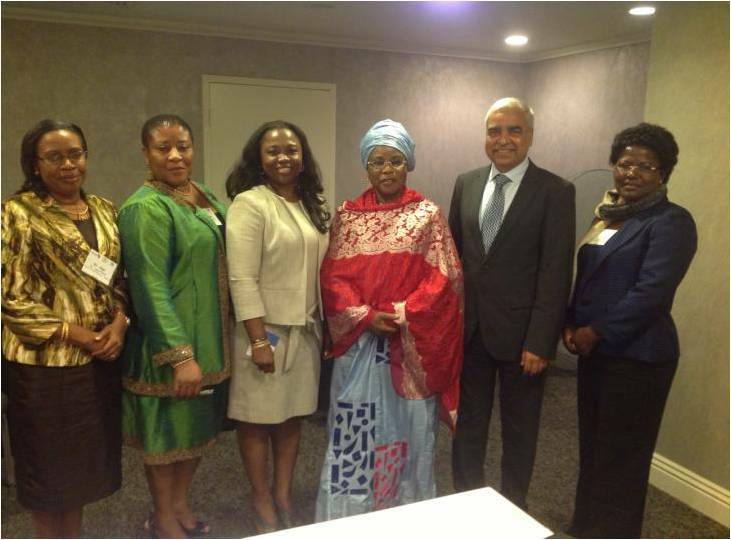 At the African 1st ladies summit, Kumar made known that P&G has been on the African continent for more than 50 years and in Sub Sahara Africa for over 20 years, with manufacturing plants in Ibadan Nigeria and Johannesburg South Africa as well as offices in Lagos, Nairobi and Johannesburg. “P&G is very optimistic about Africa and its potential: 9 Sub-Saharan countries are among the 20 fastest growing economies in 2013. Sub-Saharan GDP is forecast to grow faster than Brazil and Russia between 2013 and 2020. P&G is accelerating its investment in Africa by expanding our manufacturing platform and accelerating geographic expansion through our distribution partners – generating thousands of jobs across SSA and creating hundreds of new SMEs in the region. For example in Nigeria, P&G is expanding its operations with a new state of the art manufacturing plant being built in Ogun state, and just a few weeks back, P&G announced that it would be investing in the construction of a new manufacturing plant in South Africa,” he said. Sprite has unveiled a new global campaign urging younger consumers to listen to their own desires and follow their own truths. The “voice of Sprite” serves as the protagonist in the spots, applauding Sprite bottles around the world for following their instincts and living up to their role as a thirst-quenching, lemon-lime beverage. 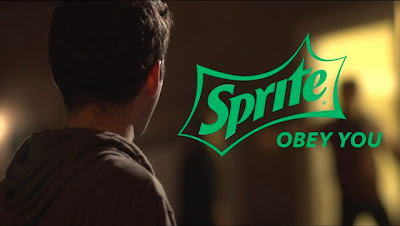 The themed “Obey You” includes a series of 20 films, where the voice behind the camera the voice of Sprite encourages youths to pursue their dreams in life. The new push builds around the “Obey” message that has been used by the brand for years. The “Obey Your Thirst” tagline, introduced back in 1994, evolved into the shorter “Obey” slogan in 2007. Now, we see the next phase of the Sprite motto’s life. 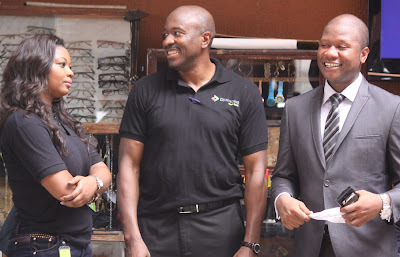 L-R Francess Oraukwe; Chanels Services Diamond Bank; John Ogwo, Regional Manager, Port Harcourt Region Diamond Bank and Bright Anaekwe KPMG Representative during the Diamong Bank Savings Xtra Draws Season Five at Mile One Ultra Modern Market Port Harcourt recently. Mr. David Otukpe, Propositions Officer/ Liability Products Team made this known in Port Harcourt, the Rivers State capital at the Season 5 Easter Special draw of the reward scheme. 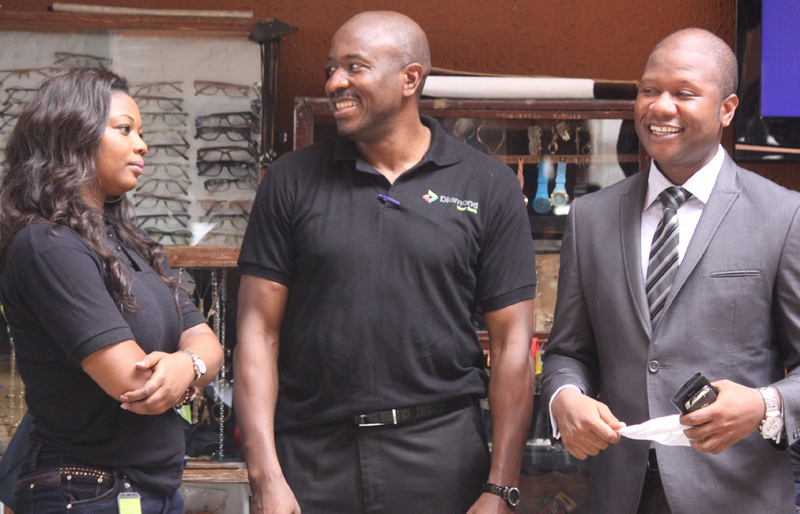 “The Diamond SavingsXtra reward scheme which commenced five years ago has seen over 3,000 customers win over N2 billion both in cash and house hold items. Before now, we were giving out air- conditioners and other electronics as rewards in the scheme. We have now narrowed it down to cash prizes. This season alone, we have given out over N600 million to 1,019 customers. We are half way through as the season ends in September 2013,” Otukpe said. Diamond Bank launched the Diamond SavingsXtra Reward Scheme in a bid to encourage a savings culture and also to reward customers for their loyalty. The draws are held weekly (every Friday), monthly (every last Friday of the month) and to mark special occasions as determined by the Bank. Every Friday, 5 customers win N500, 000 (Five hundred Thousand naira) each, while 15 customers win N250, 000 (Two hundred and fifty thousand naira) each in the weekly draw. In the monthly draws, 10 customers win N1 million each, another wins N2million and the luckiest customer wins the star prize of Salary-4-Life. The Salary-4-Life is a unique benefit of the SavingsXtra Reward Schemein which Diamond Bank pays the sum of N100, 000 into the customer’s account every month for the next 20 years. 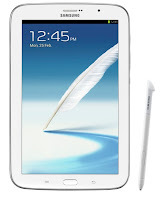 Samsung has launched two of its latest devices, Samsung Galaxy Note 8.0 in Nigeria on the night of the 2013 Mobile World Congress in Barcelona. During the official unveiling at Westown Hotel, Ikeja in Lagos, the Managing Director of Samsung Electronics West Africa (SEWA), Brovo Kim said Samsung Galaxy Note 8.0 was slim and made for work and play. “The Galaxy Note 8.0 tablet has the power and advanced technology to evolve the tablet experience and ensure consumers achieve efficient multi-tasking. Using an intelligent S Pen, you can now enjoy the ease of a traditional pen and paper with the latest in Samsung notebook technological innovation, creating a sophisticated mobile experience that will enhance life on the go”, he said. In a quest to provide high speed internet services to its teeming customers, innovative telecommunication company, Etisalat Nigeria has unveiled its metro fibre network in Abuja to kick state the development. 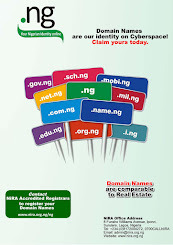 According to the 0809ja company, the network was launched with the aim of increasing the network’s quality and capacity to provide qualitative internet services to more users, including the numerous small and medium scale enterprises (SMEs) in the nation’s capital city. Etisalat innovations in internet service development has made it one of the internet savvy users choice in the country. Google To Buy Whatsapp for $1bn? If report from Digital Trends is anything to go by, then Google is reportedly negotiating to acquire chat application, Whatsapp for $1bn. 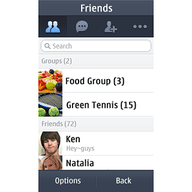 WhatsApp Messenger is a proprietary, cross-platform instant messaging application for smartphones. 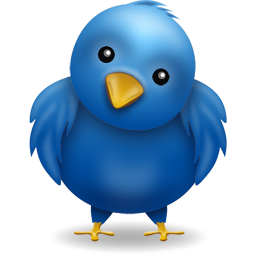 In addition to text messaging, users can send each other images, video, and audio media messages. WhatsApp has a proven monetization scheme. Its yearly but nominal $0.99 subscription fee keeps the service ad-free. 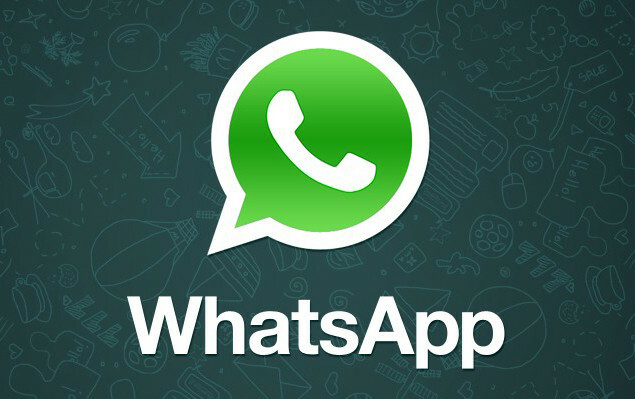 Behind the scenes however, WhatsApp also generates revenue through profitable partnerships with international telecommunications companies. For instance, it just signed an agreement with Airtel in Nigeria to provide Whatsapp for N100 per month. 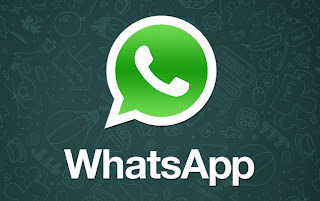 WhatsApp is consistently the number one paid app in more than 100 countries with an enviable user base size spread throughout more than 100 countries and 750 mobile networks. To give you an idea about WhatsApp’s scale, on New Years Eve 2012 alone WhatsApp saw a record 18 billion messages processed in a day. Market observers believe if the deal is real, then Google is in to make more profit. 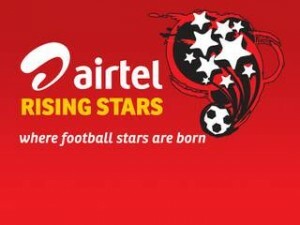 Telecommunication giant, Bharti Airtel and one of the world's leading electronic company, Samsung have announced a partnership in support of the Airtel Rising Stars (ARS), the African under-17 grassroots soccer tournament. Samsung will be the official device partner of the tournament through the multi-million dollar agreement. In a release, Airtel says it has a “robust commercial partnership” with Samsung, which recently announced it has plans to double its smartphone marketing on the continent as a strategy to bridge Africa’s digital gap. Manchester United has signed an eight-year deal worth nearly $240m with Aon to sponsor the club’s training ground and training kit as the US insurance broker hopes to secure a place in the hearts of the football club’s huge Asian fan base. In an attempt to retain links with the club and its growing fan-base across Asia, its training ground at Carrington will be renamed the Aon Training Complex and Aon replaces DHL as the club’s training kit sponsor. 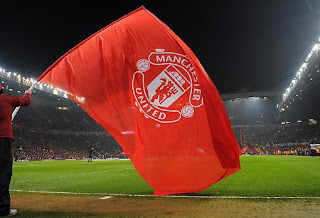 The company will also become presenting partner for all Manchester United pre-season tours over the coming eight seasons, including trips this year to Bangkok, Sydney, Yokohama, Osaka and Hong Kong. According to a report published in 2013 by Twinpine, a mobile advertising network reaching millions of Africans on mobile devices via the mobile web, mobile penetration in Nigeria is 69.01%. The report revealed that mobile subscribers grew by 18% between 2011 and 2012. The lack of precaution taken by mobile users can have unfortunate consequences for some: close to two in five mobile users in the Middle East and Africa have fallen victim to mobile cybercrime3. Visit mobilesecurity.comfor additional insights from Norton mobile security experts, including articles, videos, widgets and infographics shedding light on timely mobile topics. 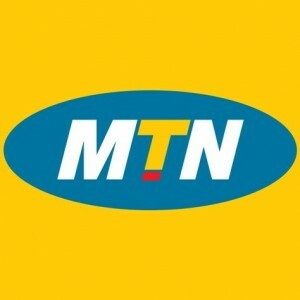 MTN goes live with MTN Cloud in Ghana and Nigeria as other markets is to follow later in the year. The operator launched the MTN Cloud pilot project in December 2012, targeting small and medium enterprises (SMEs) in Cameroon, Cote d'Ivoire, Ghana, Nigeria, Uganda and South Africa. The pilot made MTN the first mobile network operator in Africa to adopt the Cloud Service Brokerage model. "What the pilot project confirmed is that our offerings are on the mark. There is great appetite for ICT solutions that are relevant, customised and affordable. SMEs are looking to technology service providers such as MTN to bring them world-class tools that improve their business efficiencies. MTN Cloud offers exactly that", Executive for MTN's Group Enterprise Business Unit, Farhad Khan, says the response to the MTN Cloud trial was positive. MTN Cloud offers an impressive list of services. As part of the trial, participating companies were offered access to Office Desktop, a cost-effective email and collaborative software, Mozypro, a back-up service for the effective management of files and servers, and Dialcom, an on-demand video conferencing offering. Companies that participated in the pilot ranged from SMEs in the IT, manufacturing and hospitality sectors in Ghana to those in media and advertising in Nigeria. 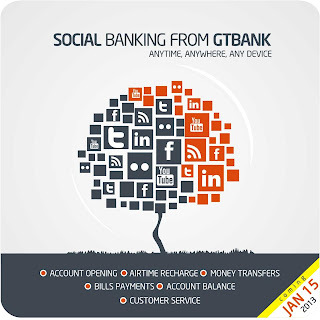 Guaranty Trust Bank plc has again ante up its service inNigerian by launching a ‘Social Banking’ service on Facebook. 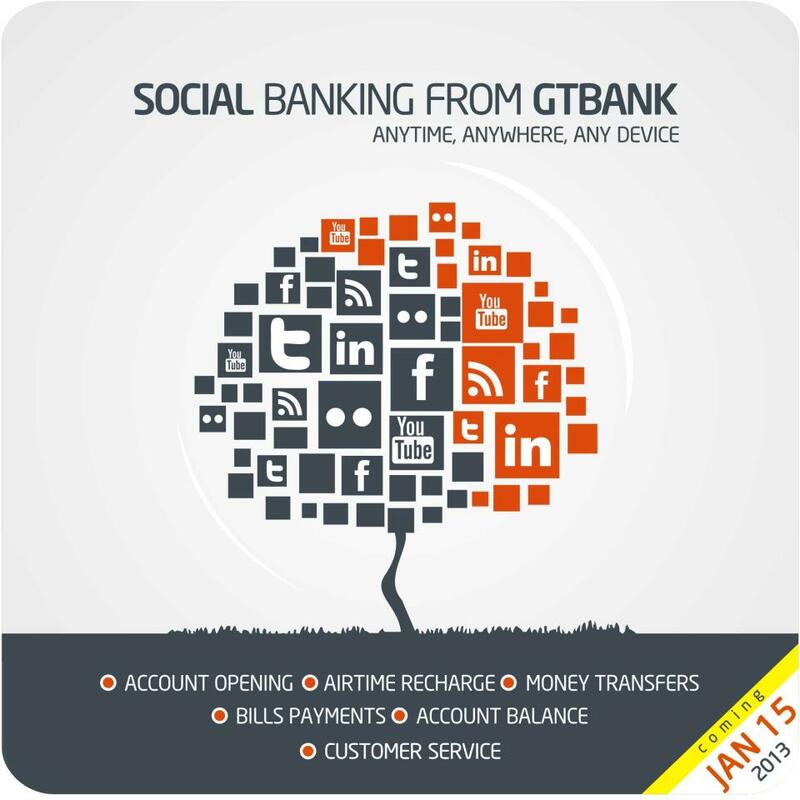 The new offering which is the first of its kind by any Nigerian Bank allows the public open GTBank accounts and get Customer Service support on Facebook. 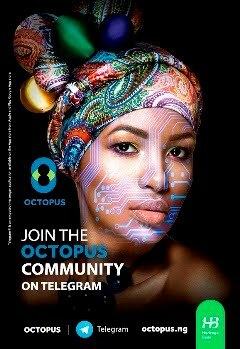 According to the Bank, its objective is to engage the public where they work, live or play and the new service would enable persons on social networks like Facebook commence a banking relationship and perform transactions 24/7, safely and conveniently, without having to leave the platform. Speaking on the development, the Chief Executive Officer of Guaranty Trust Bank plc; Mr. Segun Agbaje ‘This novel service presently allows people open GTBank accounts and get customer service support on Facebook and in a couple of weeks we will introduce new service options that include money transfers, airtime purchases and bills payments’. He further affirmed that GTBank was committed to the convenience of its stakeholders and the Bank would continue to introduce value adding alternative channels into the future. Guaranty Trust Bank was the first Nigerian institution to have recognized online/social channels as an emerging service point and has over 1 million followers on Facebook; the largest for any African Bank. Recently, it unveiled GTBank Mobile Money, a highly secure application that allows customers and non GTBank customers perform transfers and payments from their mobile phones to any mobile phone subscriber within the country. Furthermore, the Bank’s internet banking platform is one of the most robust in the industry, supporting a wide array of service offerings that include bills payments, own and third party transfers and foreign exchange transfers to any bank account in the world. The Bank’s alternative banking channels were given a Payment Card Industry Standards Council (PCISSC) certification late last year, implying that the channels meet acceptable technical and operational requirements to prevent credit card fraud, hacking and other security vulnerabilities.